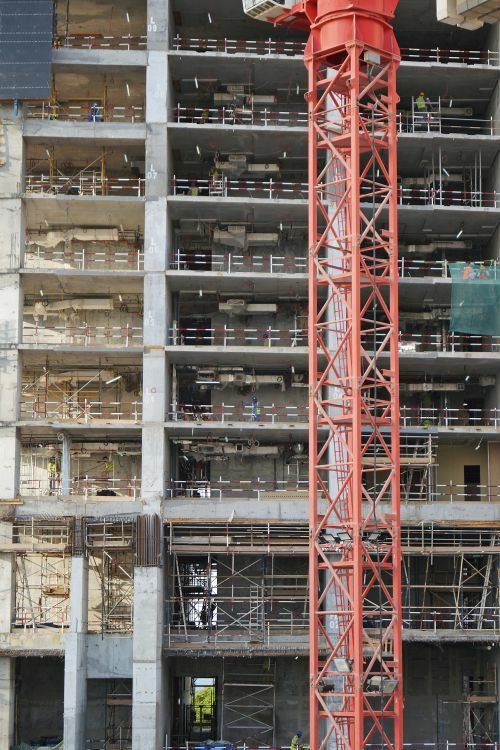 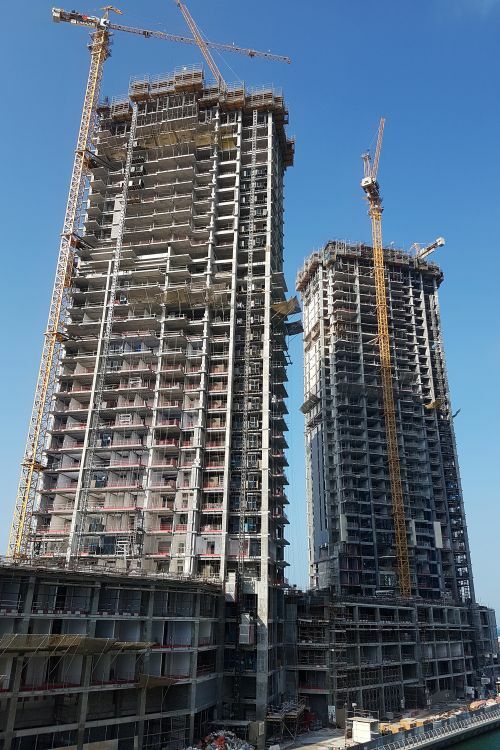 Fifty Two Forty Two, or 52|42, is a new waterfront twin tower development in Dubai Marina. 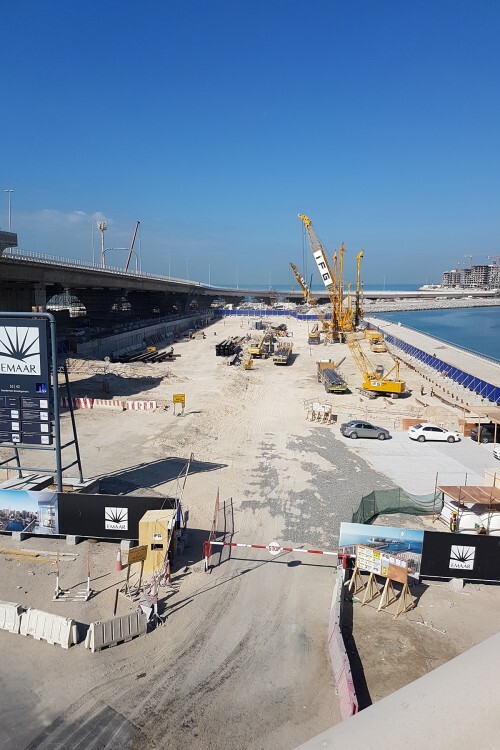 It is on one of the last plots of land in the Marina to be claimed and brings the master development ever closer to completion. 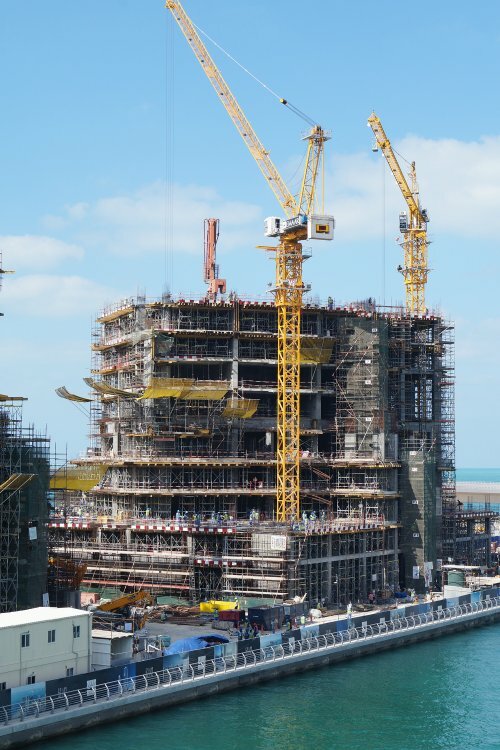 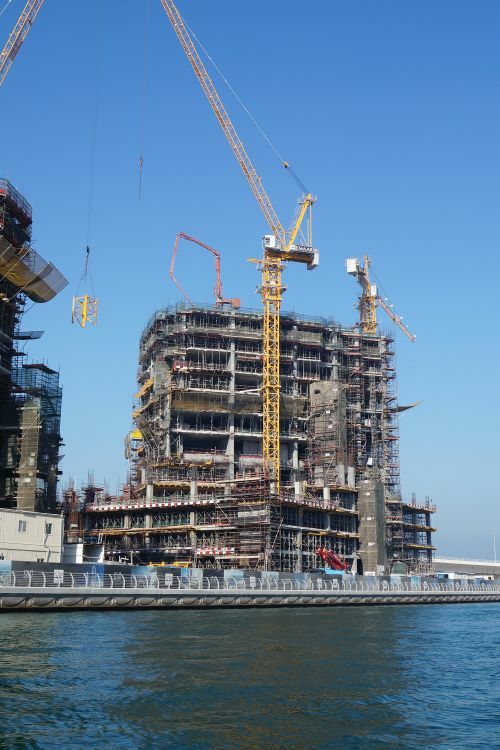 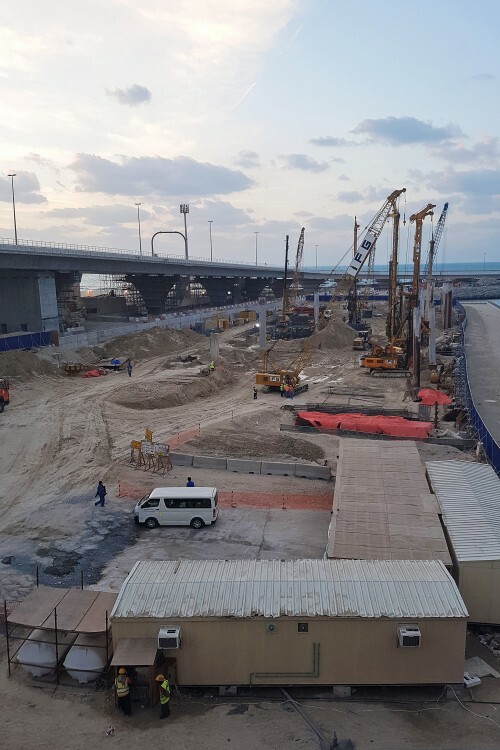 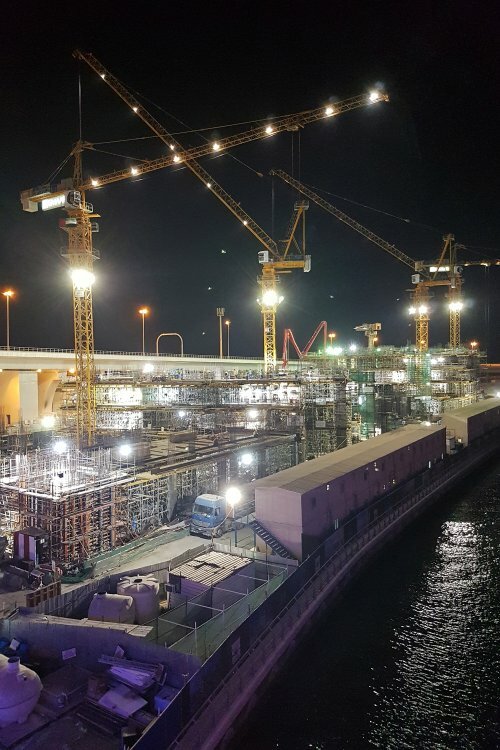 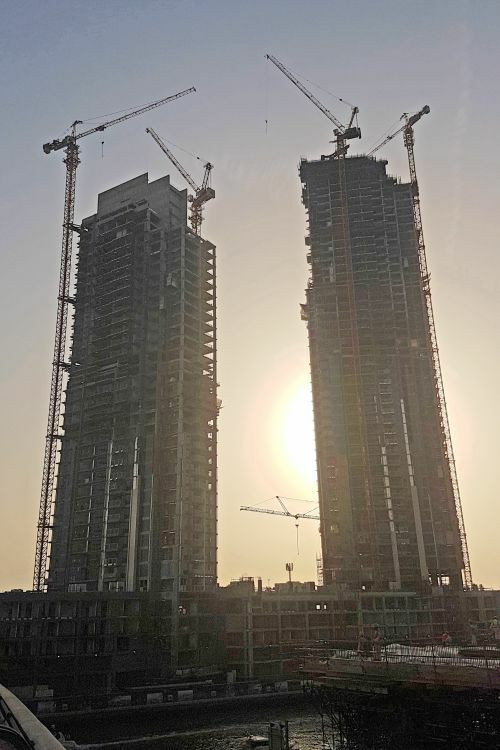 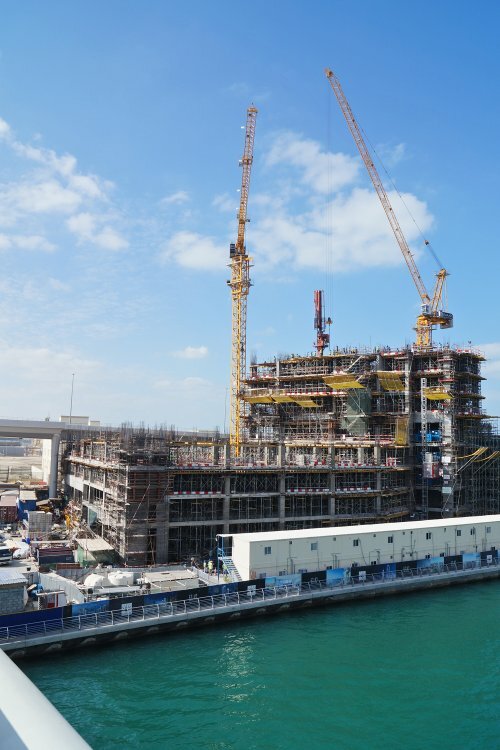 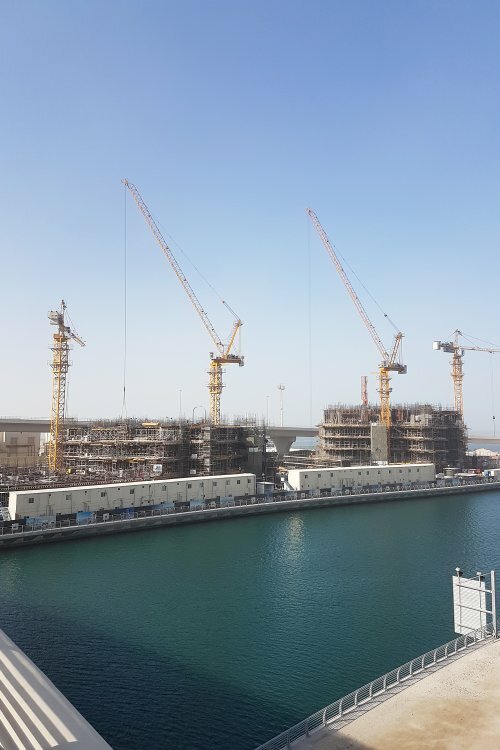 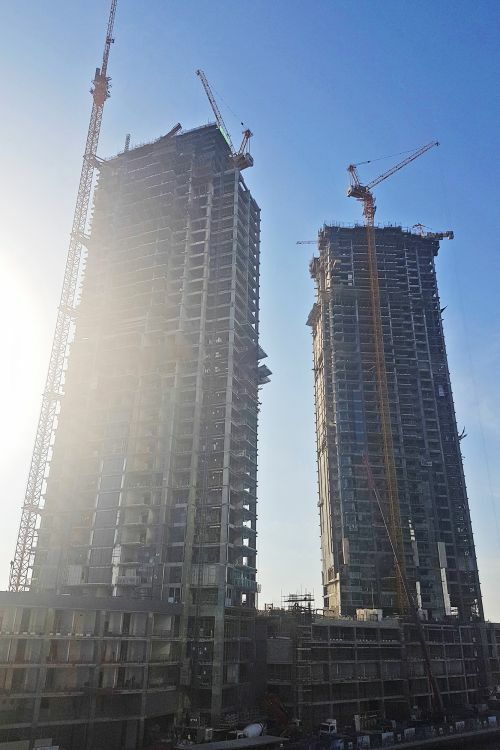 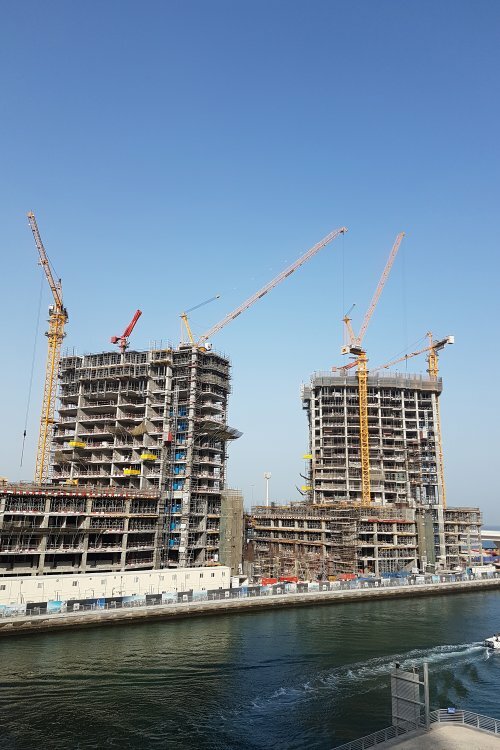 The project was launched in April 2016 by Emaar Properties who are also the master developer of Duabi Marina and creators of its first buildings, Marina Towers, at the north end of the marina. 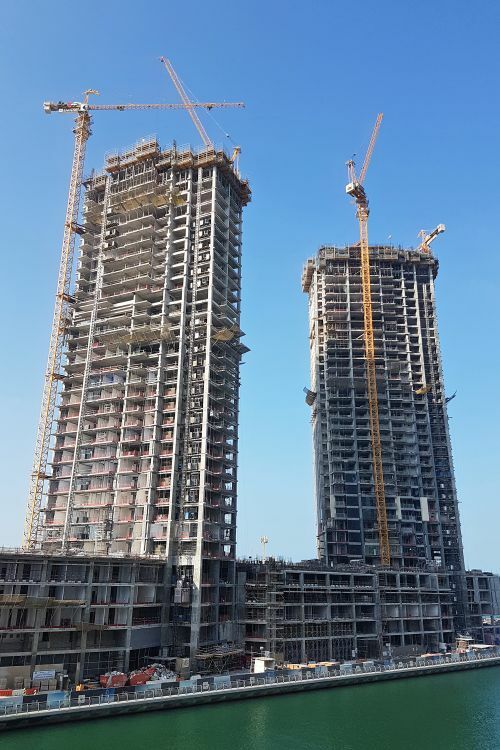 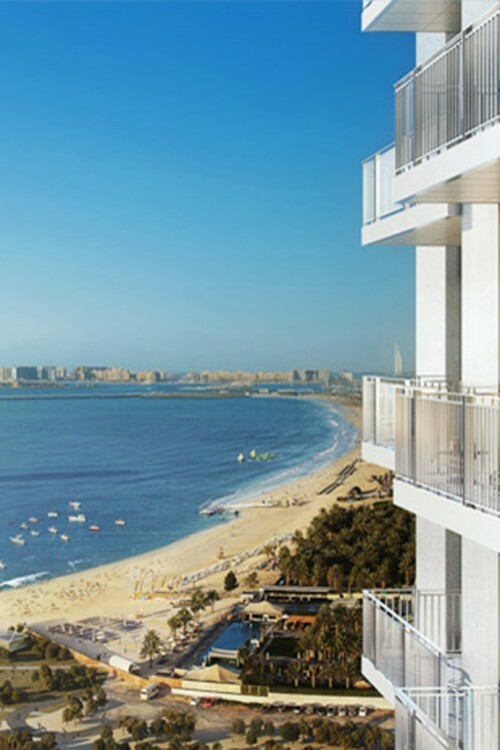 The towers consist of one-, two- and three- bedroom ultra-luxury apartments, most of which will have marina and sea views. 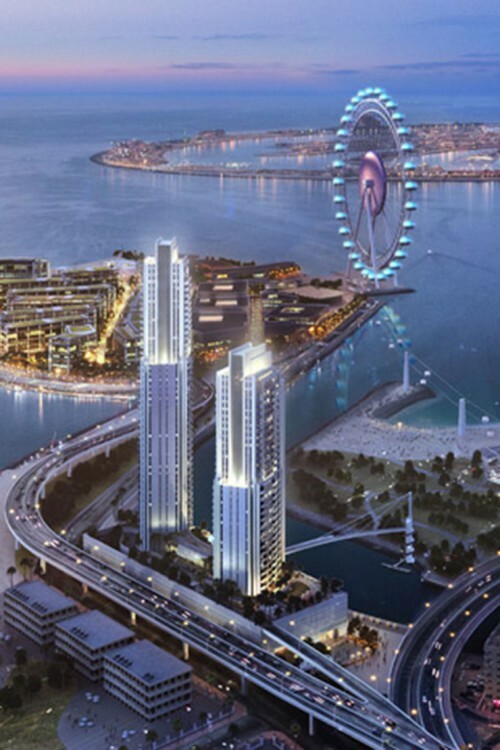 As the name suggests, the western tower will have 52 floors and the eastern tower will have 42 floors. 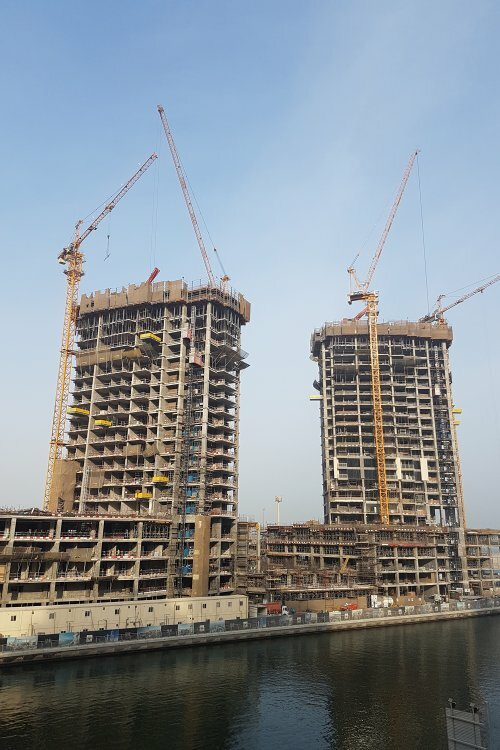 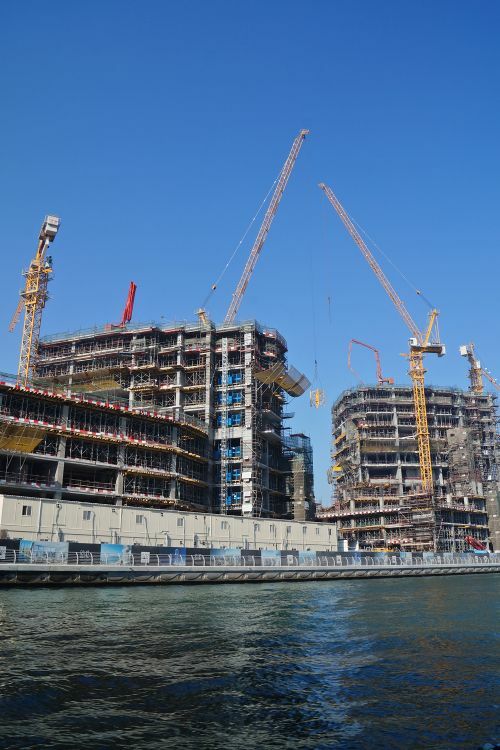 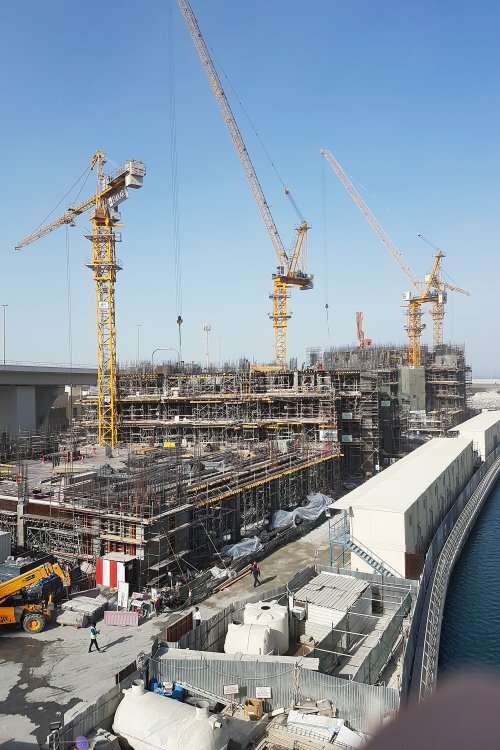 The buildings are angled northwards so that the apartments will overlook Bluewaters Island and the Dubai Eye ferris wheel as well as JBR and Dubai Marina. 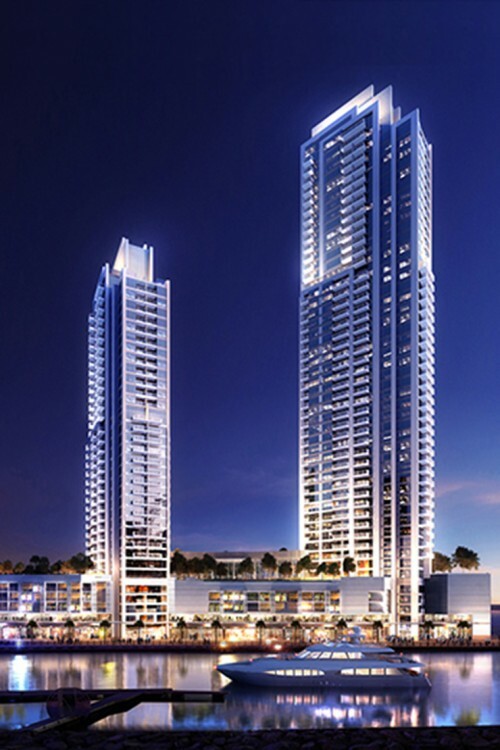 The towers are situated at the far south end of Dubai Marina adjcacent to the main Bluewaters Island bridge road. 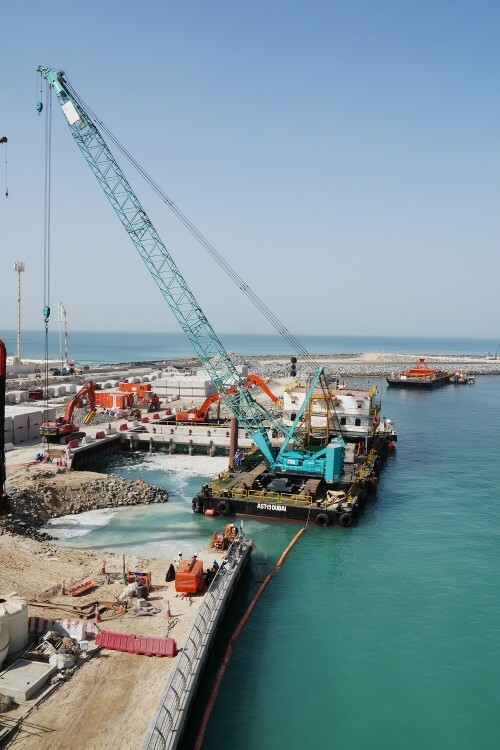 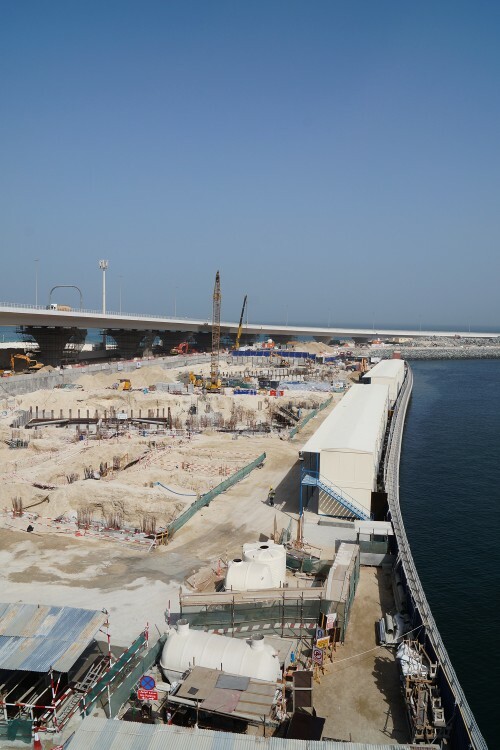 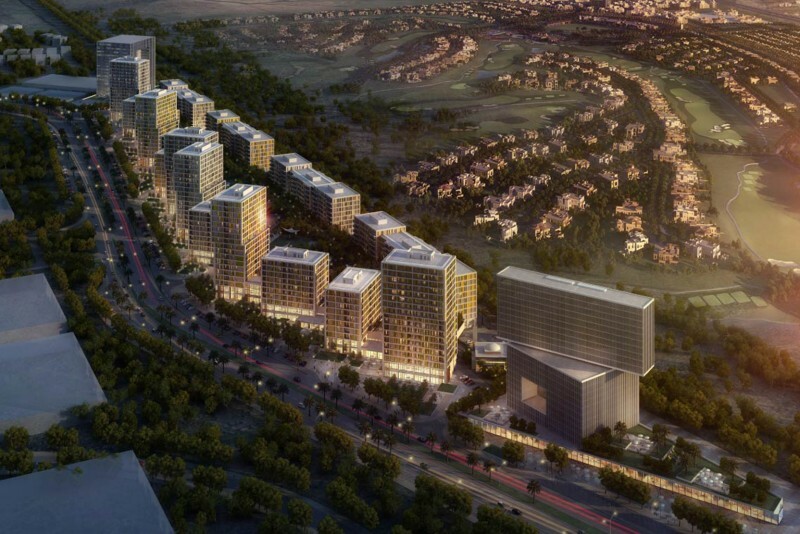 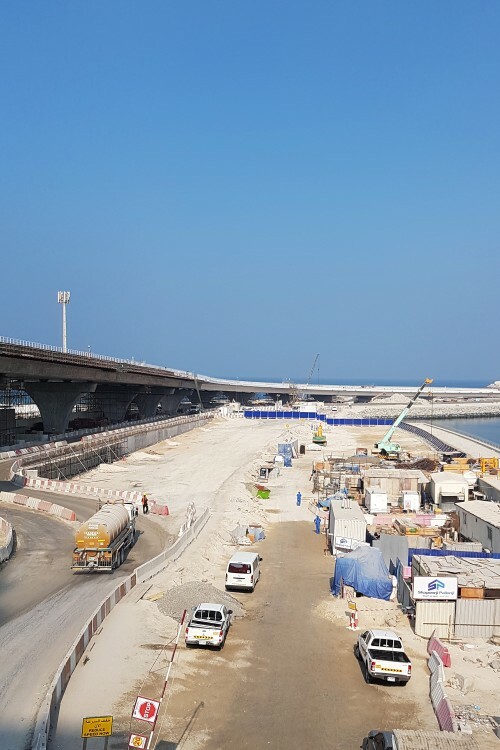 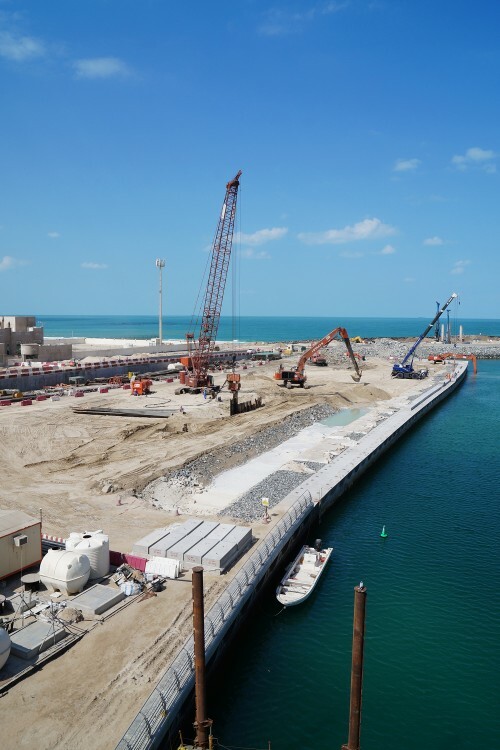 This means they will have direct access to both Sheikh Zayed Road and Bluewaters Island. 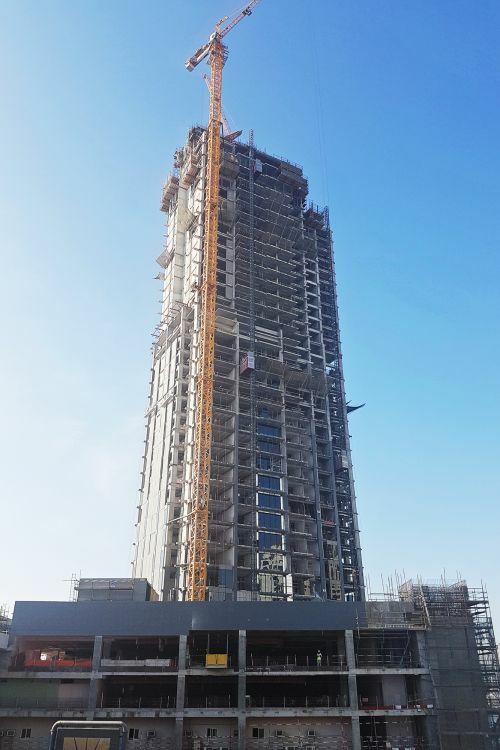 Fifty Two Forty Two will contain a fully equipped gym as well as swimming pools, a children's play area and a multi-purpose hall. 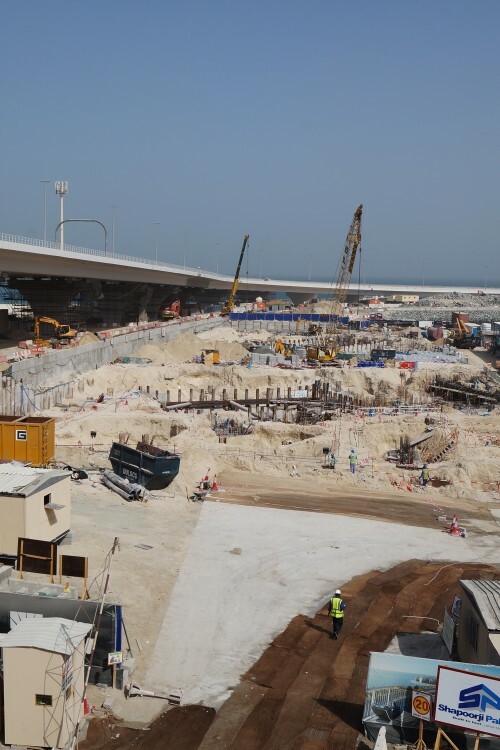 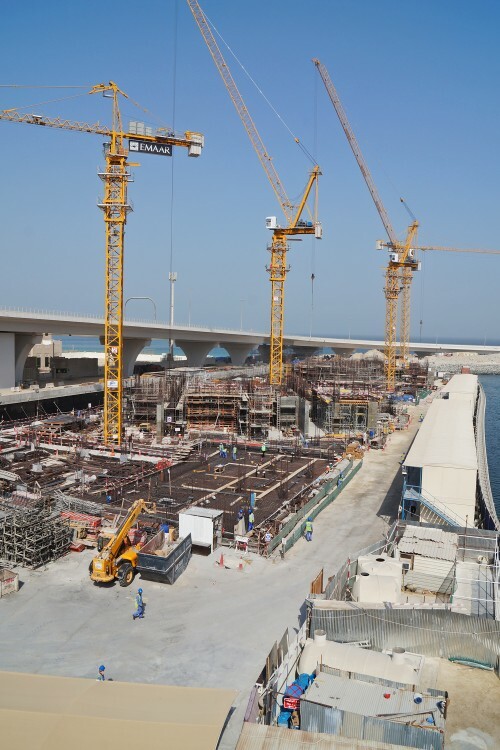 The podium level will contain infinity pools, gardens and private terraces as well as retail outlets and restaurants. 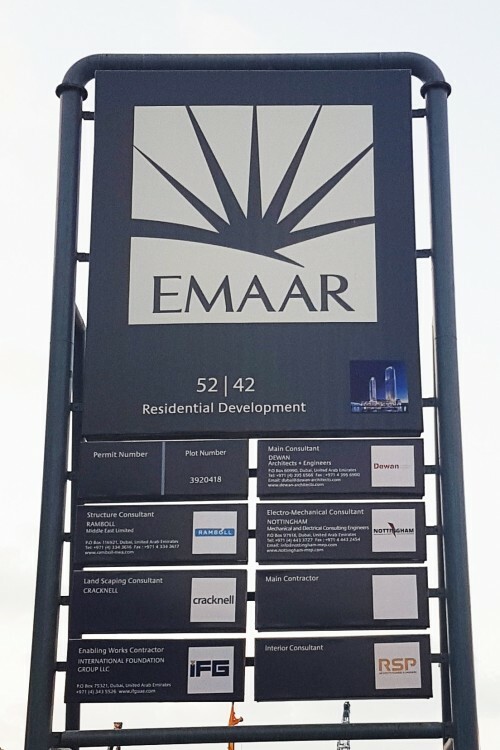 As with several other Emaar towers their design is inspired by the art deco architecture of many buildings in New York and Chicago. 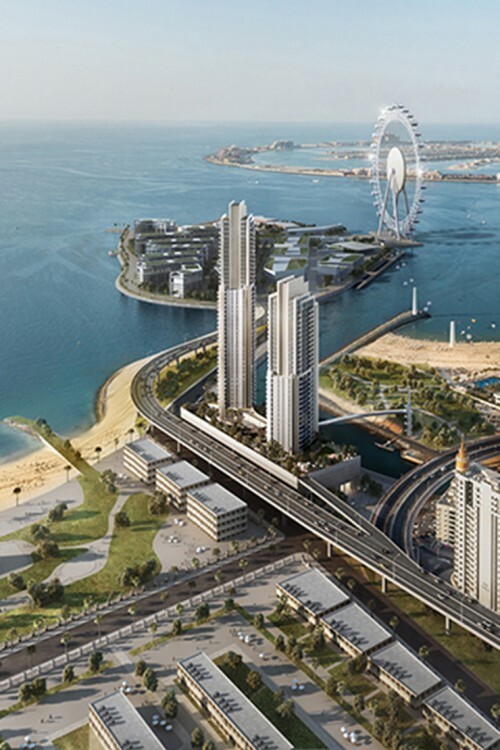 52|42 coincides with the launch of the Immo Prestige Residential Tower at the far north of the marina. 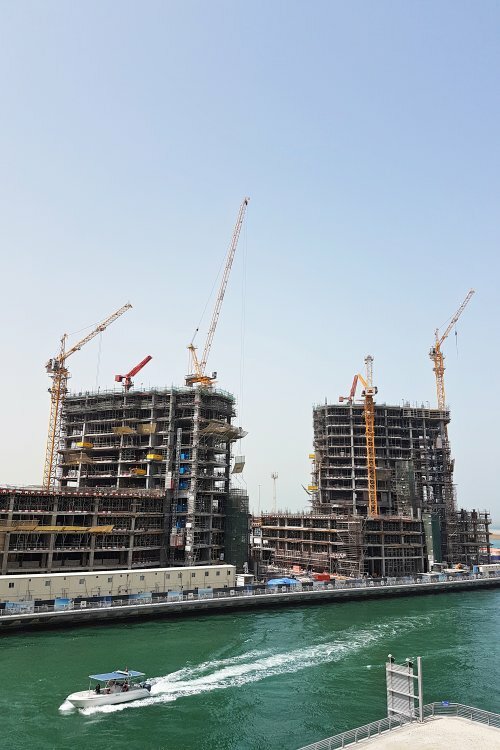 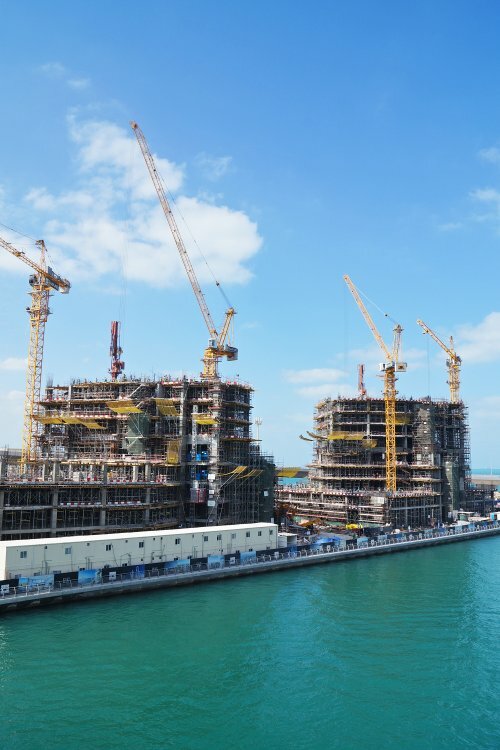 Once built these two flagship projects will effectively complete the 20 year masterplan of the Dubai Marina development just in time for Expo 2020. 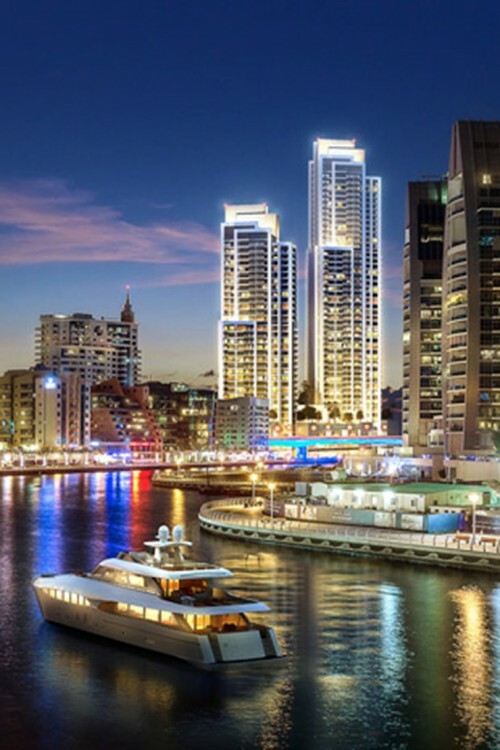 One-click links to properties currently on the market in Fifty Two Forty Two. 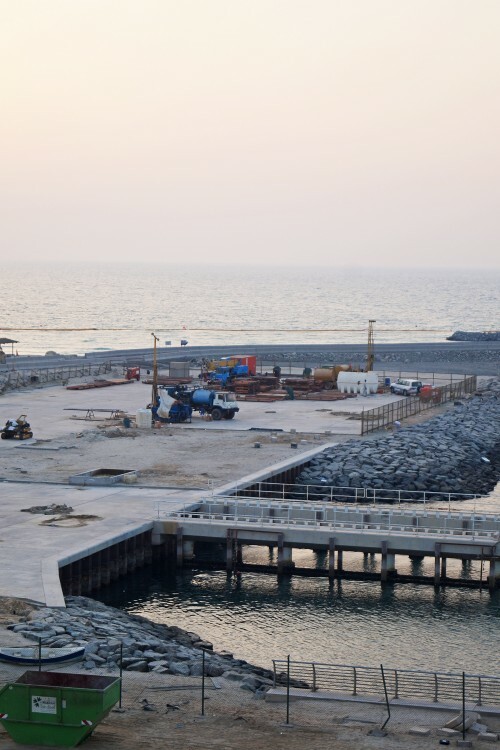 Part of the plot is land reclaimed from the sea. 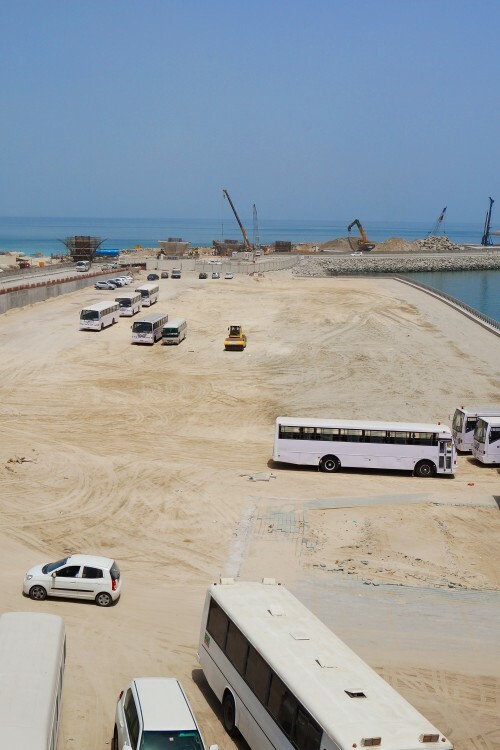 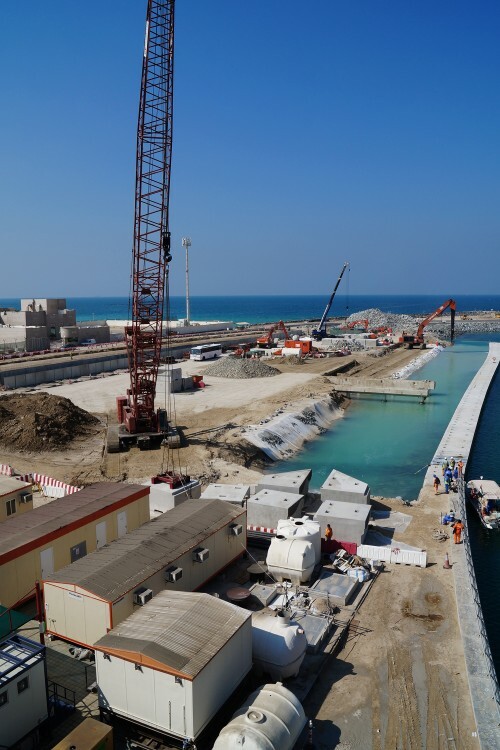 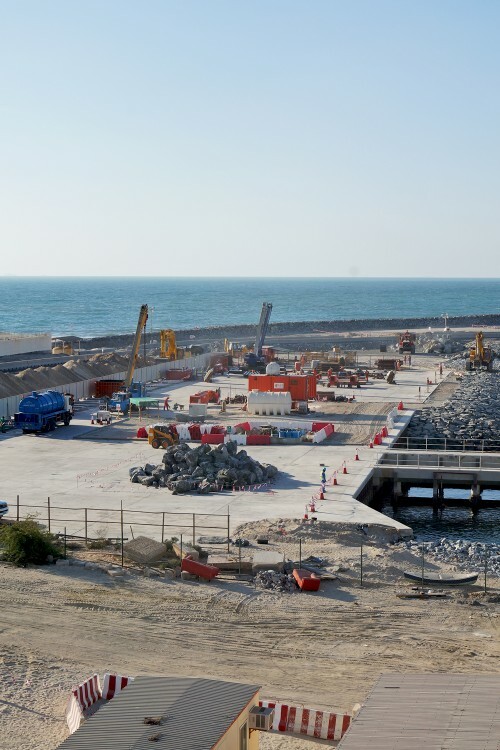 Between September 2014 and June 2015 the marina's south wall was extended to the east and the land was filled in.